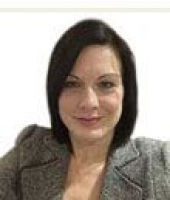 Emma Taylor of Bury St Edmunds Counselling, Suffolk - BA (Hons), BACP Accredited, Link Adoption Counsellor. I am a qualified integrative counsellor and CBT counsellor with a counselling and psychotherapy practice based in Bury St Edmunds, Suffolk. I am an experienced counsellor specialising in OCD, Anger Management, Relationships Issues, Depression & Anxiety and Stress Counselling.